On your arrival you’ll find a fabulous welcome pack waiting for you. 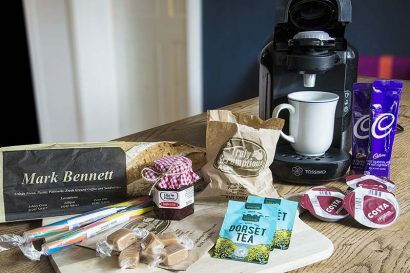 Amongst all the goodies you’ll find some delicious local jam made in Lily’s kitchen in the lovely town of Swanage, using the traditional small batch, open pot method on the stove. “Lily’s Produce” make high quality preserves to recipes that have been handed down through two generations of the family. They are full of flavor and will take you back to your childhood.